Radiators are way more versatile than you’d expect. Thanks to recent innovations and upgrades to existing technology, these essential fixtures offer far more than just functionality. In fact, with so many shapes and sizes to choose from, these can make a striking statement to any room. Take for example your kids room which should be fun and vibrant but above all, a great space to play with friends. Fortunately, there are some designer radiators which add a cheerful and creative vibe. Here’s a guide on how to pick the perfect one that acts as an eye-catching decorative piece in your kid’s room. Leave the more refined finish of metallic or matte steel for the more serious rooms in the house. After all, your child’s bedroom is a space for playing and being creative. Bring them in on the design process, letting them choose a shade to suit their character. 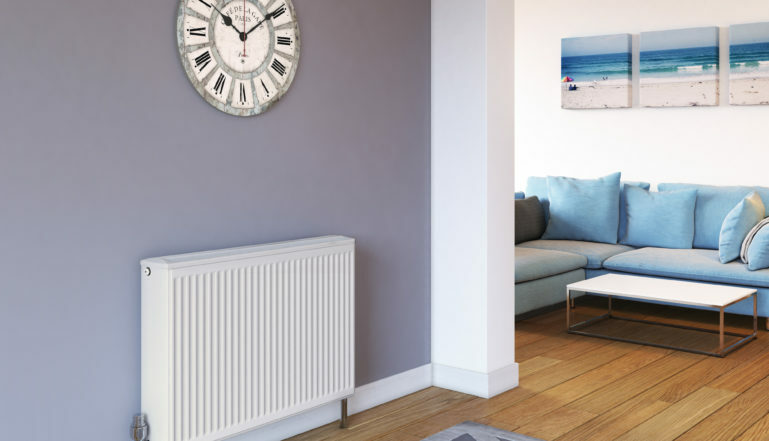 Alternatively, modern radiators can be purchased to a colour of your specification. Bright and bold always works well such as yellow, red or blue. As mentioned, the sizes of designer radiators are limitless. That said, you can afford to be picky when choosing the most optimum size. Don’t settle for anything less than perfect. For a smaller room, a vertical radiator can be a great solution, saving valuable space for more storage of toys and clothes. These come in a variety of styles from wavy pipes to streamline panels. These can also be positioned higher from the floor to keep them out of touch from younger children. A Low Surface Temperature Radiator is limited to 43-degrees, meaning the room will still become toasty warm without any threat of accidents. Even if they do touch the surface when it’s on, there’s no risk of burns.